In its eighth year, Parish Brewing, just outside Lafayette, LA, has been flexing its muscle in the beer world. Their yearly “Ghost in the Machine” DBL IPA is always in high demand and their “Canebrake” sugarcane-Wheat Ale is a staple of the hot days of summer in New Orleans. Arguably this is one of—if not the—best brewery in Louisiana. Lets see what their Opus Vert has to offer. Eyes and Nose: Bright yellow, slightly cloudy with a thin white head that quickly dissipates. Mouth: Floral, bright, and well balanced with a full bodied hoppiness and a near-7% ABV that gives this IPA some strength. Subtle hints of banana and coriander are reminiscent of a wheat ale, but a mouthful of hops puts any question of its heritage to bed. Rating: This is a great IPA with hints of west coast and session IPAs, but not quite in either family. It’s a fresh take, and a refreshing beverage. 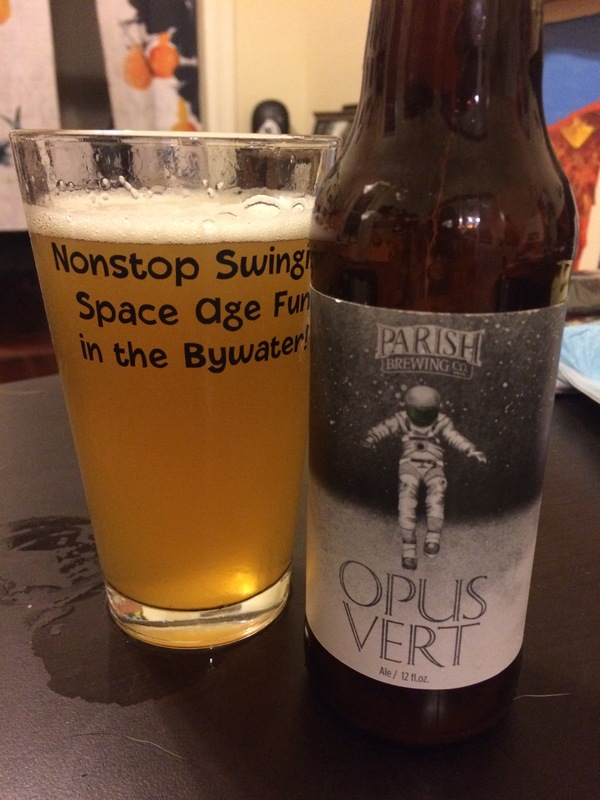 Here’s to space astronauts!